Home » Readers' Coffee Questions » Reader’s Questions: WCIF Coffee in a Can? Reader’s Questions: WCIF Coffee in a Can? At PurelyCoffeeBeans, I’ve answered lots of questions over the years. You’ll find the questions and their answers scattered throughout the site! I’m always open to more questions, if you’re frustrated or curious, why don’t you drop me a line! This week we welcome … Bill who’s asking about coffee in a can! Can I still find coffee in a can? Hi! I don’t know if anyone still produces coffee in vacuum-sealed steel cans that go ‘whoosh’, and spray coffee out when you open them with a can opener-and then that wonderful aroma! Is this a long-lost dream of mine that just doesn’t exist anymore? I like the Flavor of Folger’s ‘Classic’, but do not like the plastic can and don’t know if it’s considered dark-roast, medium, light, Colombian, French, etc, etc? Most cans are relatively expensive to produce and therefore many roasters choose to pack coffee in bags that are sealed with a flavor-lock valve. It’s a cost-conscious choice for most. Coffee beans are roasted and packed in bags with flavor-lock valves that allow the CO2 to escape after roasting. This prevents the bags from blowing up too tight and/or exploding in transit. The cans would have to be fairly strong to resist the pressure build up. Strong cans mean higher expense. It’s far easier to recycle or dump a waste bag than a metal can, so the recycle cost of a bag are far lower. Nowadays, some roasters also choose biodegradable bags for the beans, too. Cans don’t biodegrade, though they can be formed into other products. Metal cans mean higher expense. 4. Good coffee: Consume Quickly! But the most important reason is simple: good coffee beans need to be consumed quickly after roasting to achieve maximum flavor. When beans or grounds are packed (even vacuum-packed), the quality starts to deteriorate pretty much immediately. Your coffee goes stale quickly. Packing in a can would be unnecessary and expensive in most cases, as the beans would be consumed quickly; and opening the bag can provide the same aroma experience you describe. I know that because I could smell the aroma from freshly roasted coffee beans I bought yesterday that had been packed! Nice! However, you seem to like coffee in a can, so if I haven’t persuaded you, you’ll be happy to know that a few coffee vendors still provide coffee in real cans: including Lavazza, Illy and Sant Eustachio! Of course, these are the Italian coffee brands, and they do their research! 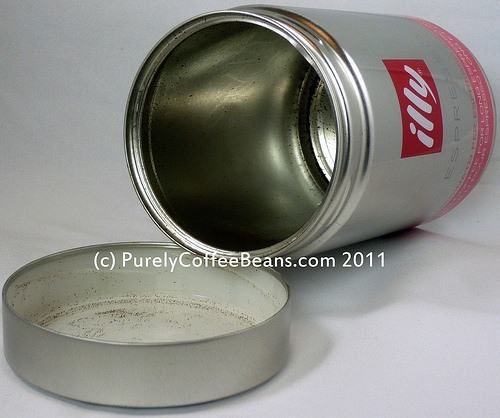 You’ll find that Illy fills their cans with Nitrogen to stop the quality deterioration. And the cans are lovely, if expensive! I did enjoy the whooshing, when I opened the can! That was quite a nice effect! So take a look at the Italian coffee makers who produce their coffee primarily for export. US vendors… well, I’m still searching for those that do! Will update this post if I find any. Folgers’ Classic: Arabica or Robusta? Lastly, Folger’s ‘Classic’ blend is actually a medium roast; and not all that tasty (perhaps the batch we had was stale, it certainly tasted like wood). 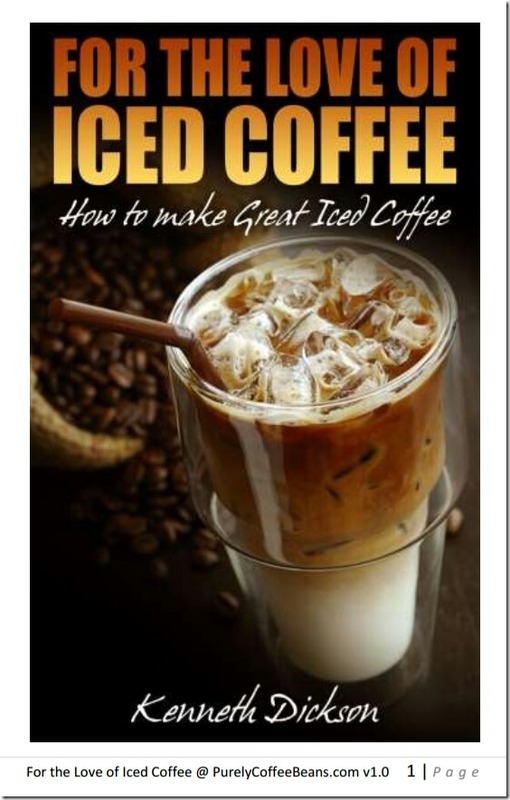 It’s also a blend of different coffee beans, probably including Robusta according to at least one website. Other sites claim that Folger’s is 100% Arabica, though those claims refer to the Colombian blend. Hope that helps: do remember to differentiate coffee beans, coffee producers and coffee roasting style… I will write an article for those next week. Reader’s Questions: What happened to my Millstone Coffee? Reader’s Questions: Where can I find a particular brand of Mexican Coffee? Reader’s Questions: My coffee is really weak! What can I do? Can’t Find My Kirkland Sumatra!